Everyone likes a tax break, and you may be in line to get one. If you have already received your assessment notice, you may have to wait for next year. But there are still ways that you can lower your property taxes for this year. Keep reading! Think about this revealing fact: between 30% and 60% of homeowners are paying a higher property tax rate than they should because of a bad property assessment. Yet only 1 in 10 homeowners ever contest that assessment.Pull together information comparing your property to similar properties in your neighborhood. (A real estate agent may be able to help you with this.) Once you compare your rate to what others around you are paying, you will have a good ideaabout whether your assessment is wrong. 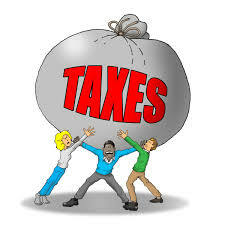 However, any improvements you have made since your last assessment will cause your property taxes to go up. Also, take a look at your property card by going down to your assessor’s office to check for errors. Keep this in mind: up to 40% of homeowners who challenge their assessments win! An indirect way to reduce your property taxes is to offset them with tax credits. You would be amazed at how much money homeowners leave with the IRS at the end of each year simply because they did not claim all of the credits due to them. • Home Improvement Loan Interest. Any home improvement loan of $100,000 or less is tax deductible. • Energy-Efficiency Tax Credit. Simple improvements like installing new efficient windows, HVAC, insulation, or storm doors can account for up to $500 in tax credits. • Renewable Energy Tax Credit. Green improvements like installing solar panels that supply your home with energy gives you a tax credit of 30% of your costs for buying and installing. These tax breaks may change frequently, so consult a tax professional to discuss what is available to you. Finally, in addition to these measures, standard run-of-the-mill tax breaks can save you a lot of money. You need to bone up on the different credits afforded to you as a homeowner. Talk to a tax professional about shielding part of your home valuation from taxes. Ask what credits are available to you as a senior or a veteran. Regular mortgage deductions added up to close to $2,000 in 2012. Every locality is different, and some cities and states may offer additional tax breaks and property tax reductions that are not listed here. Check with your local county clerk’s office or talk to a tax professional about more ways to reduce your property taxes. Have some questions? Feel free to contact me anytime.